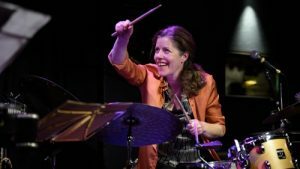 Here you can dive into the live and studio recordings of Benita Haastrup Trio. As a touring improvising ensemble the audio and video documentation is a way of composing – by registering and securing the ephemeral musical happenings the work of the trio as a live performing orchestra is preserved. For studio and live solo albums recordings click here: Albums. For live video from the trio’s concerts click here: Videos.